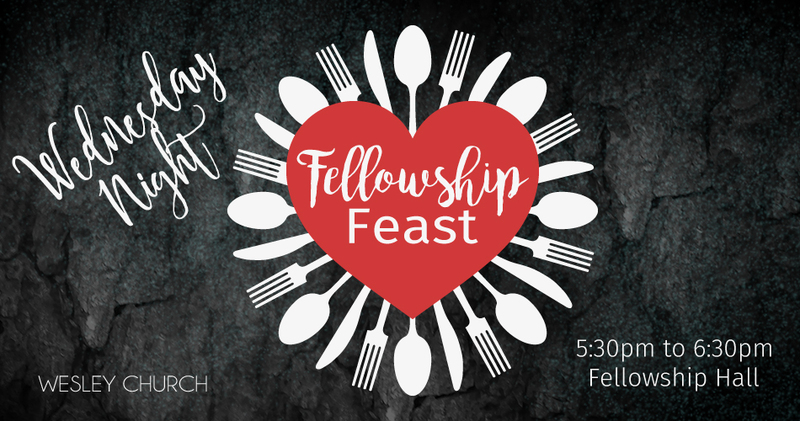 Delicious meals and fellowship will be enjoyed every Wednesday at 5:30pm in the Family Life Center. Invite your friends so they can meet our Wesley Family! All Meals include Drink and Dessert. Vegetarian selection usually available.